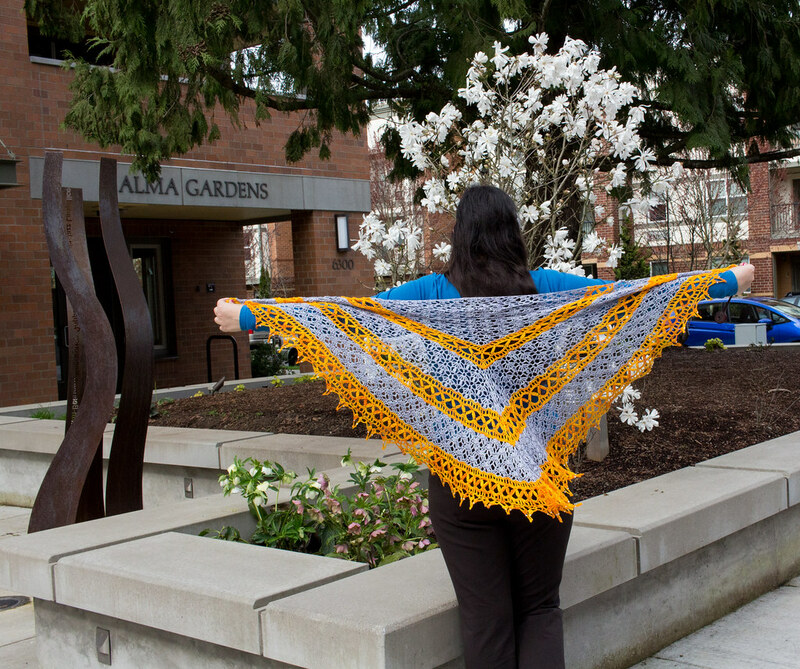 I really loved the Rimsky-Korsakoffee-Cake Shawl that was the crochet mystery-a-long for the Rose City Yarn Crawl 2016. 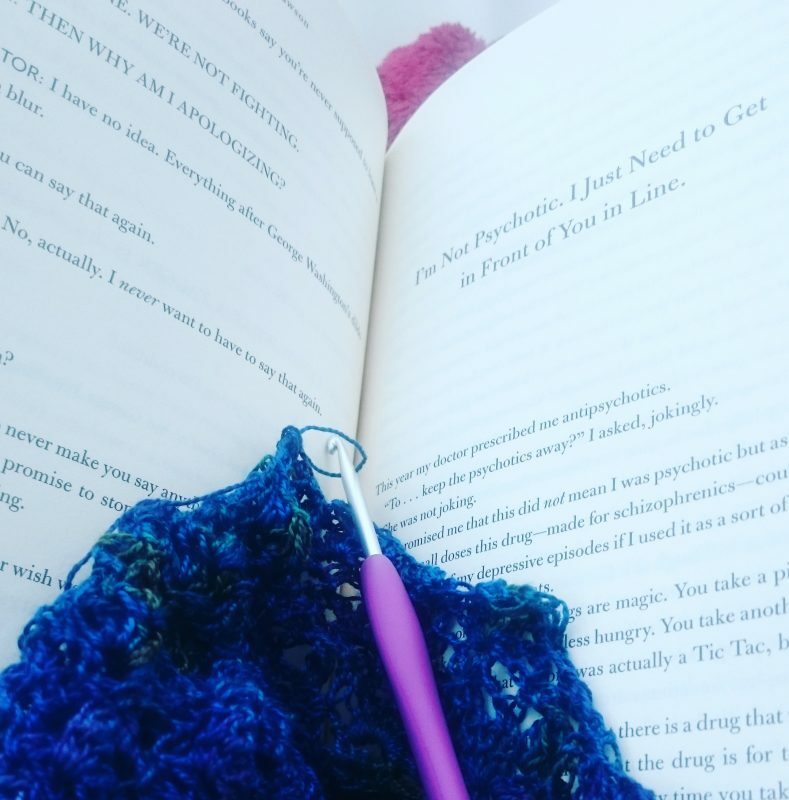 I’d only chosen to do that one because I met Kat at my local yarn shop, but I particularly like Kat’s crochet charts, which are exceptionally pleasant to use, and will rave about them to anyone who asks. 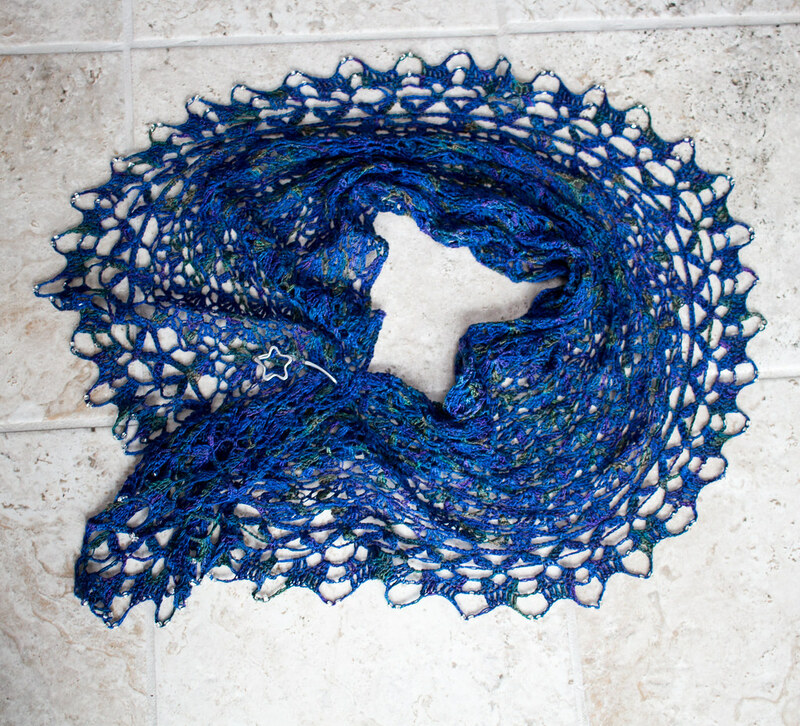 Yarn: Teresa Ruch Designs Tencel 5/2. 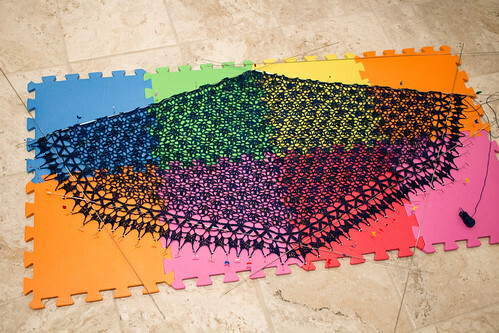 I don’t know the name of the colourway (It had just come in the day I bought it and I’m not sure any name had stuck yet at the time that I bought it), but it’s a special shop colour exclusive to Black Sheep at Orenco, so you should order from them if you love it. This tencel is quickly becoming my favourite thing to crochet with, especially for shawls, because it’s light and drapey and the colours come through as saturated and shiny. Since it’s a very smooth synthetic, it doesn’t stick to itself which means you can slide things around easily during blocking. It’s also quite nice for beads. 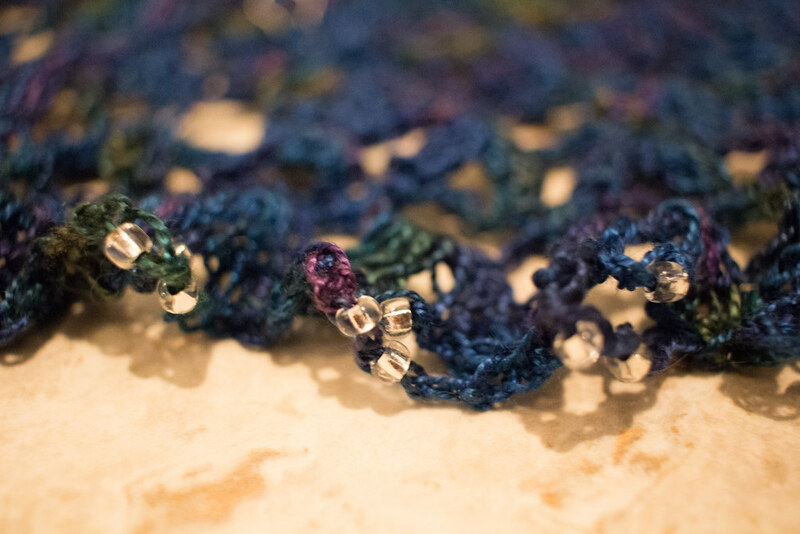 I’d guess you could even string them on in advance since this yarn doesn’t felt, but I used a Bead Aid because it’s so much easier. 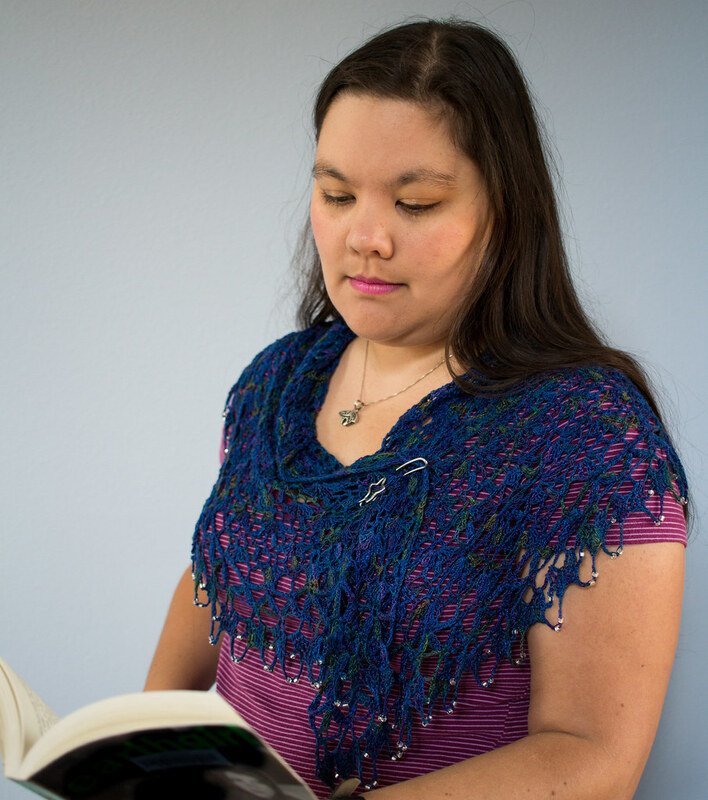 This shawl is a somewhat unusual shape, which becomes more striking during blocking. It’s a really lovely piece and I’m glad M convinced me it was time to try this pattern! 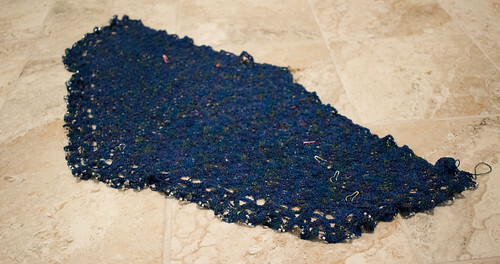 My project on Ravelry in case you want to see more pictures or queue it up yourself. 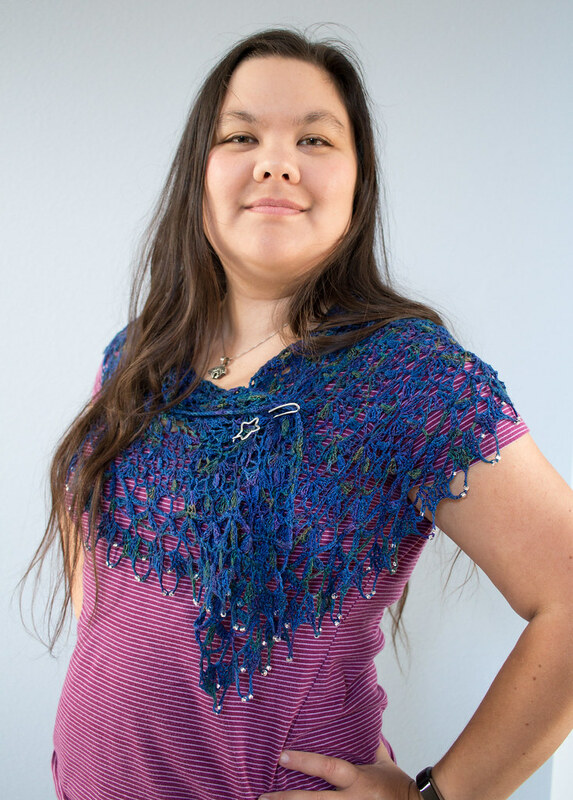 This entry was posted in crochet, wearable, yarn. Bookmark the permalink.